Bulb: 24V-25W. 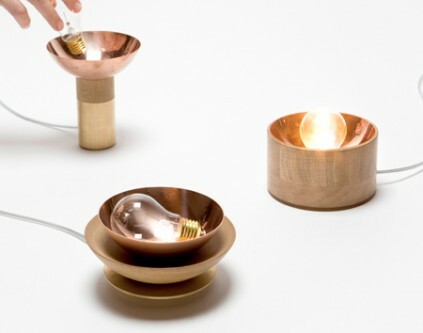 The lamp includes 2 bulbs. The Candil lamps are made in signed editions of 100 pieces. The Candil was conceived as a table version of the cornucopia. In appearance they are different but their technical principle is the same; The rule of 3. In succession only three are the elements/materials that compose the lamps and allow the lighting of the light bulb: copper, wood and brass. 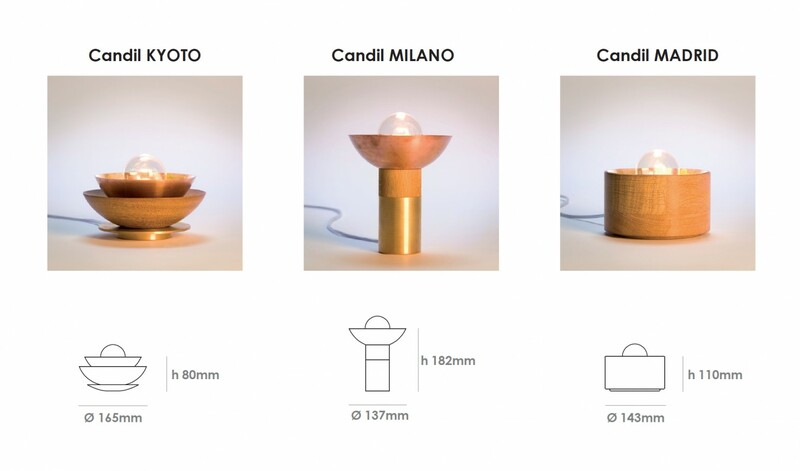 The Candil offers a visual and tactile experience with its natural materials and the warmth of the light that it spreads. As a modern version of a candlelight it is meant to enchant and transport us to an intimate and pleasant World.